Three Kings Day (Día de los Reyes), also known as Epiphany, is a Christian celebration that marks the official 12th day of Christmas and concludes the Christmas season. Epiphany means “manifestation” and commemorates the Biblical story of the three kings who followed the star of Bethlehem to bring gifts to the Christ child. According to the Biblical story, the Three Kings (also called wise men or magi)—named Melchior, Caspar and Balthazar—followed the Star of Bethlehem to find the birthplace of Baby Jesus. They presented the baby with gifts of gold, frankincense and myrrh. The holiday is widely celebrated in the Hispanic community with traditions that include a Rosca de Reyes (“King’s Cake”) and gifts for children. Many consider this day more important than Christmas. 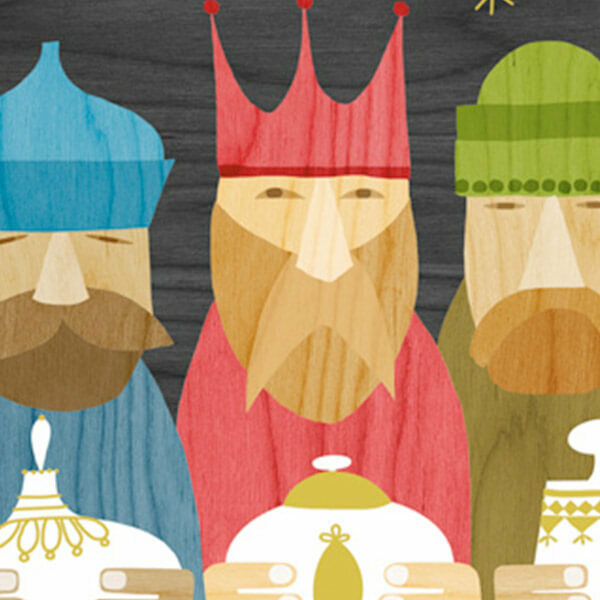 Three Kings Day is always observed 12 days after Christmas on January 6. The “King’s Cake” is usually round like a crown and contains a hidden figurine symbolizing the Baby Jesus. In Mexico and other Latin American countries, the three wise men, as the gift givers, are more popular than Santa Claus. One tradition in many communities involves children putting their wish lists inside old shoes and leaving them out for the wise men. The wise men then fill their shoes with gifts.